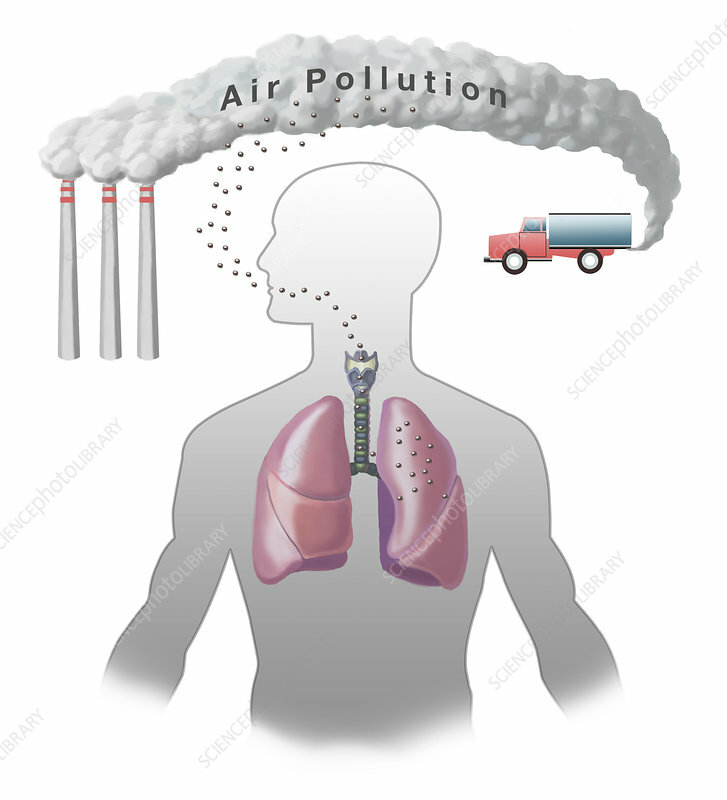 Illustration showing air pollution affecting a person's lungs. Air pollution increases the risk of a wide range of ailments, including respiratory problems and heart disease. In 2013 the World Health Organization declared air pollution a human carcinogen, calling it a leading cause of cancer deaths globally.